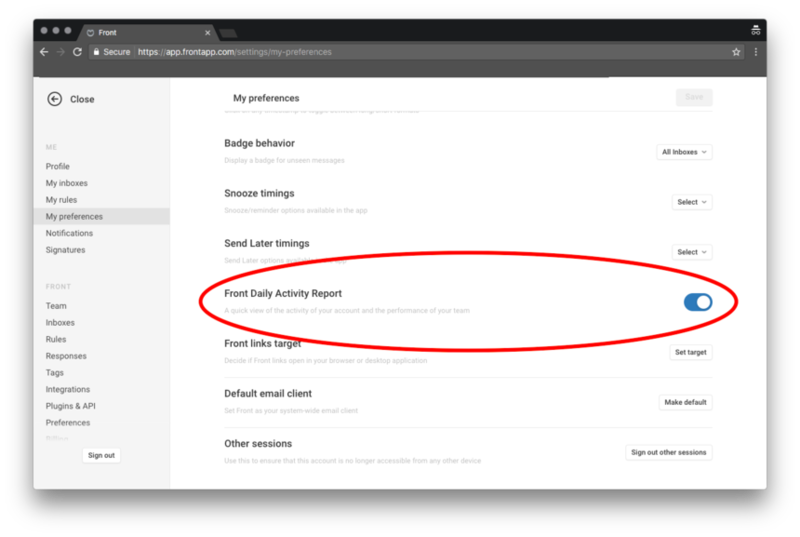 For those on a trial with Front, you are automatically opted in to receive daily activity reports about your new Front account. Follow the steps below to turn off these notifications. Scroll down the list until you see Front Daily Activity Report, and click on turn the toggle off to disable it.